What we like The Echo gives you voice control over the most smart home products. Google Assistant offers unique features like voice recognition. HomePod lets Apple users automate their homes with Apple HomeKit. The Echo gives you voice control over the most smart home products. Google Assistant offers unique features like voice recognition. HomePod lets Apple users automate their homes with Apple HomeKit. As smart home technology evolves, traditional home automation hubs are becoming less and less necessary to build an interconnected home. In place of these third-party hubs, companies like Amazon, Google, and Apple are pushing a new wave of smart speakers and intelligent assistants that work just as well as—if not better than—traditional hubs. 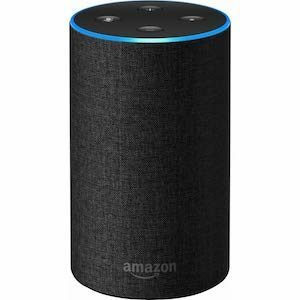 We like the Amazon Echo best for its broad interconnectivity. But if you’re looking for another option, we break down these speakers below to help you decide which might be the best for you and your home. >>Learn more: What is Home Automation? *Prices listed based on listed retailer prices as of this writing. Data effective 1/9/2019. Prices and availability subject to change. The Echo is compatible with the most smart home equipment, and Alexa is the most customizable smart assistant. Dimensions: 5.3 x 3.4 x 3.4 in. Weight: 1 lb., 13 oz. The Echo is likely the best of the bunch if you’re strictly using it as a hub to build a smart home system. It’s not the nicest looking smart hub, but Amazon’s ecosystem offers the largest selection of compatible smart home equipment, like the Nest Thermostat and a variety of sensors. And with Amazon you can download custom skills––like its skill that lets you order an Uber––that give your Echo extra abilities. As a voice assistant, Alexa is hard to beat. Google Assistant is superior at handling voice queries, but Amazon’s Alexa is still the most comprehensive voice assistant of the three. Despite entering the smart hub scene later than Amazon, Google Home has narrowed the gap and offers a few key advantages over its competitors. Dimensions: 3.79 x 5.62 in. We actually prefer Google’s smart assistant over Alexa because it seems to have a more fluid understanding of language and queries. As a latecomer to the industry, Google had to come from behind in order to catch up to the Echo and Amazon Alexa, but it’s safe to say the Google Home is on the right track. We actually prefer Google’s smart assistant over Alexa because it seems to have a more fluid understanding of language and queries. For example, I didn’t have to rephrase or simplify as many questions as I did with Siri or Alexa, which can be frustrating as you’re learning the limits and capabilities of these smart assistants. 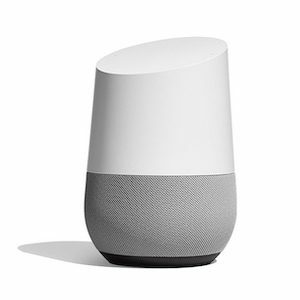 If you have a Google account and regularly use tools like Google Calendar and Google Maps, Google Home will fit right in. 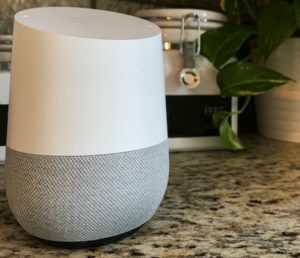 But the Google Home is still catching up to the Echo’s robust smart home compatibility and control. Apple HomePod is a powerful speaker that gives you voice control over your smart home products via Siri and Apple HomeKit. Dimensions: 6.8 x 5.8 in. The HomePod is far and away the best speaker of the bunch, but that shouldn’t surprise anyone given it’s more than twice the cost of its main competitors. Siri isn’t our favorite smart assistant, but you can use it to control your home automation equipment with voice commands. What we like most about the Apple HomePod is the control it gives you within the Apple HomeKit app. With location tracking on your iPhone, your home automation system can detect when you enter the house and automate a scene for your entrance. So if you want the lights to come on and music to start playing every time you come home, you’ll have that power. Since Apple likes to keep its ecosystem exclusive, home automation systems with HomeKit are limited to Apple users. In addition to the three smart speakers above, we considered a handful of more traditional hubs to see how they’d stack up in terms of smart home interconnectivity. We tested Samsung SmartThings alongside the smart speakers, and while it worked well, it just didn’t offer much that the smart speakers couldn’t already do. We also considered a handful of home security companies, including companies like Vivint and Frontpoint, which make an effort to include smart home interconnectivity. 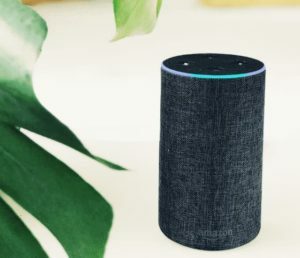 But unless home security is your main priority, you’re better off paying less for one of these smart speakers that offer similar, if not more, compatibility with smart home equipment. The gap is certainly shrinking in terms of these hubs’ abilities, but no company has quite been able to catch up to Amazon’s smart home ecosystem. Amazon offers the widest range of compatible smart devices and appliances, and it gives you the most flexibility in setting up your smart home. Google Assistant is a better choice if you proactively use Google Calendar, Google Maps, and Gmail. But you won’t get the same flexibility or compatibility that you get with Amazon’s ecosystem. 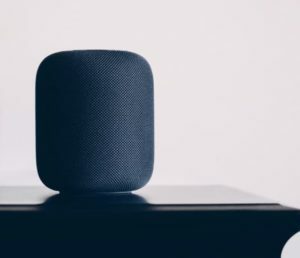 For Apple users, the Apple HomePod and Apple HomeKit can help you create a serviceable home automation system, but you’ll be limited in compatible smart home devices. If you care about smart home interconnectivity, go with the Amazon Echo. If you care about your smart assistant, go with Google Home. 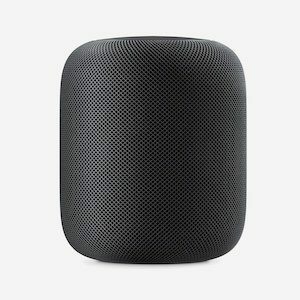 If you’re all-in on the Apple ecosystem, go with the Apple HomePod.